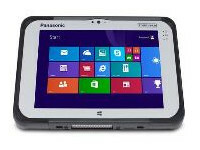 The Toughpad FZ-G1 Windows 8 tablet offers a fluid user experience while providing crucial port connectivity and feature rich options in a compact size. 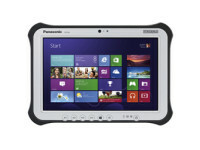 Designed for highly mobile field workers, it’s the thinnest and lightest fully-rugged 10.1″ tablet running Windows 8. 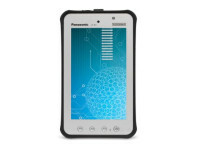 Powered by a 3rd generation Intel® Core™ i5 vPro™ Processor with a MIL-STD-810G and IP65 certified design, Gamma Solutions’s Toughpad FZ-G1 leads the way in rugged mobile computing. 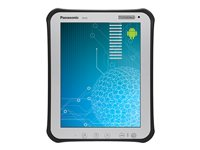 Add to that a daylight-readable 10-point multi touch + digitizer screen, and it becomes an essential tool for field workers.